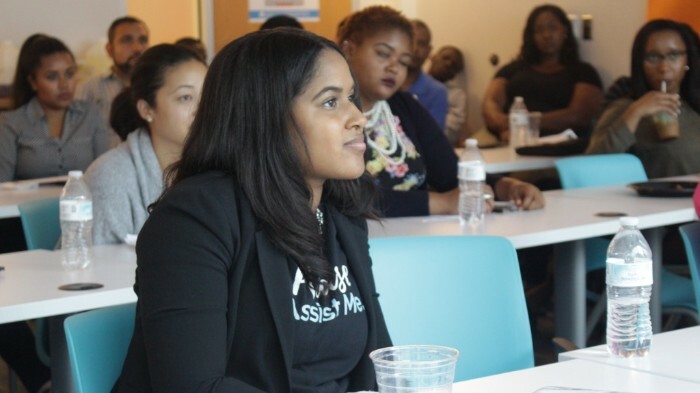 (Durham, NC) - September 6, 2018 - The Google for Entrepreneurs Exchange program for Black Founders, a one-week intensive immersion for Black founders of high-growth potential startups, has selected its 2018 class of companies. More than 200 teams applied for the program, which is hosted by American Underground and will take place September 23-28 in Durham. MedHaul (Memphis, TN) - MedHaul exists to address and eliminate patient transportation barriers in distressed and rural communities. We arm providers with the tools and data to combat the negative health outcomes of transportation as a social determinant of health. Resilient Wellness (Oakland, CA) - For public and private health systems who want to reduce expenditure on preventable chronic illness, Resilient Wellness offers a blockchain solution that functions as a social impact bond investment platform that then provides subsidized health plans comprised only of trauma-informed holistic services proven to solve chronic illness. Watch the Yard (LA/Atlanta) - Media company focusing on creating an ecosystem of viral platforms for niche cultural affinity communities tied to upwardly mobile minority groups. Sightworthy (New York, NY) - Sightworthy transforms existing assets into a daily feed of timely 10-second social videos for brand marketers. Optimal Solar (Durham, NC) - Optimal Solar uses the full spectrum of the sun to deliver the highest efficiency solar module at the lowest cost of energy. Spa Utopia (Durham, NC) - SPA UTOPIA is uberizing the luxury spa & wellness industry. We deliver holistic and customized spa services to your door - same day (within 2 hours). Possip (Nashville, TN) - Possip gives schools and districts a weekly pulse on parent, teacher & student feedback using a 1-minute multilingual weekly text survey. Panoptic Project Solutions, LLC (Mobile, AL) - Panoptic-PM is an open-source project management platform that makes planning more social and less stressful. Panoptic-PM will shift the focus of managing a project or event from facilitation to automation. Creating a shared ecosystem that includes a plethora of proven plans and milestone lists that saves time, money, and helps people reclaim their time. It's engaging, social, creative and productive all at the same time. Four of the ten teams belong to organizations within the Google for Entrepreneurs partner network, including the American Underground and Nashville Entrepreneur Center. The immersion program, hosted by American Underground and Google for Entrepreneurs, will prepare participating teams for raising a seed round of capital by giving them a behind-the-scenes view of what investors look for. Startups will get direct mentoring and training from area experts and Google representatives, and one-on-one meetings with investors. Participants will also receive training around network building, and overcoming racial bias in the fundraising process. The goal of the program is for at least half of the startups to be funded within nine months, but in previous years this goal was accomplished sooner—at the program’s closing pitch event in front of dozens of venture capitalists and corporate CEOs. From 2016 to present, 12 participating companies have collectively raised over $5.5M in equity or debt capital since completing the program. This includes 2016 alum SpokeHub, who completed a historic raise of $2M from primarily Black investors. The American Underground -- one of twelve Google for Entrepreneurs tech hubs in North America -- launched seven years ago in the basement of an old tobacco warehouse at the American Tobacco Historic District. It now encompasses close to 125,000 sq ft of space at three locations in downtown Durham as well as a strategic partnership with open source leader Red Hat to offer an office in Silicon Valley. Founding partners include Google for Entrepreneurs, Lincoln Financial Group, Coastal Credit Union, Duke University, Fidelity Labs, and Capitol Broadcasting Company. Google for Entrepreneurs provides financial support and the best of Google's resources to dozens of coworking spaces and community programs across 125 countries. We also create Campuses: physical hubs where entrepreneurs can learn, connect, and build companies that will change the world. To learn more about Google for Entrepreneurs, visit google.com/entrepreneurs or follow us on Twitter (@GoogleForEntrep).